In 2016, the General Conference asked the Bishops of the United Methodist Church to lead a process that would find a way forward for the church concerning human sexuality and, in particular, the inclusion of gays and lesbians in the church. The United Methodist Bishops just completed a week-long gathering in Chicago to review three plans developed by the Commission on the Way Forward. Our time was filled with worship, prayer, conversation and discernment about the way forward for the church. We finalized our recommendation to the February 2019 Special General Conference Session. 1. The Traditionalist Plan: Strengthen the existing language about homosexuality in the Book of Discipline and create swift and strong punishment of anyone that does not follow the Book of Discipline. The Council of Bishops is not recommending this model to the General Conference because it will create disruption, church trials and pain for individuals and congregations that would distract us from our mission to make disciples of Jesus Christ for the transformation of the world. 2. The Connectional Conference Plan: Create a Connectional Conference Model for the church which allows congregations to decide to be a part of one of three “branches”/conferences in the United States – progressive, centrist or conservative. These conferences could modify the Book of Discipline and align church practices to their theology and understanding. Present annual conferences and even congregations could choose different “branches”/conferences. The Council of Bishops is not recommending this model to the General Conference.A similar model was created in 1939 which separated a majority of African Americans and the rest of the church into distinct conferences.It was finally disbanded in 1968 and caused lasting pain to many in our denomination. It would not be helpful for us to be separate but equal, separating us by theology and segregating gays and lesbians. It would also require years to implement, maybe as many as 10 years and that would detract us from the mission of Jesus Christ and focus us on institutional matters. Congregations to decide their marriage policies. Pastors to determine who they will marry. Boards of Ordained Ministry and clergy executive sessions to determine fit and readiness for ministry. The Council of Bishops is recommending this model to the General Conference because it preserves appropriate local decision-making and does not require congregations to think and act alike. It preserves our unity in the midst of differences, allows for contextualization and provides the least disruption to the mission of Jesus Christ. This proposal represents the Bishops’ best discernment around these critical and sensitive matters. This recommended plan along with a report that includes the details of each proposal will be sent to the February 2019 Special General Conference for their consideration. We also request that you intentionally and purposefully pray for our church as we enter into this season of deliberation and discernment. The full report and recommended One Church Plan will be released no later than July 8, 2018. There is further rewriting that needs to occur and then all of the materials, approximately 75 pages, will be translated into the languages spoken at General Conference. I recognize there will be United Methodists that will not be in agreement with the proposed plan by the Bishops. Some will find it hard to be in a church that allows discrimination against gays and lesbians. Others will not accept that parts of our denomination will allow congregations, pastors and conferences to make their own decisions about marriage and leadership for the church that may include gays and lesbians. I recognize the Bishops’ recommendation will generate different feelings and opinions. I humbly ask you to stay open to the movement of the Holy Spirit in the church and in your life. I hope that while we may not all think alike, we will all love as Jesus loved. Regardless of the outcome of the 2019 Special General Conference, I pledge to you to be your bishop, a bishop of the whole church. The Special General Conference could adopt or modify one of the plans listed above or make no change at all. I cannot not envision United Methodists in Greater New Jersey not gathering and serving together in one Annual Conference. We are united in common purpose and we continue to be graceful in our disagreements. If there is change, I will not make appointments or lead in a way that seeks to change your mind about homosexuality. Each of us arrives at various beliefs based on our experiences, understandings and convictions. If General Conference does not make any changes to our Book of Discipline, I will continue to lead in our mission and respect our clergy and laity serving contextually in their ministry with their community. Click here to read the press release from the Council of Bishops. When the full report from the Council of Bishops is released, I invite and encourage you to review and reflect on the recommendations. I call us to stay focused on our mission, to make disciples of Jesus Christ and to grow vital congregations to transform the world. Let’s not allow differences to deter us from serving Christ in and through our congregations. We have made great progress and God has a future with hope for us. Thank you for being United Methodist, for your commitment to Jesus Christ and for your service to the church and the world. 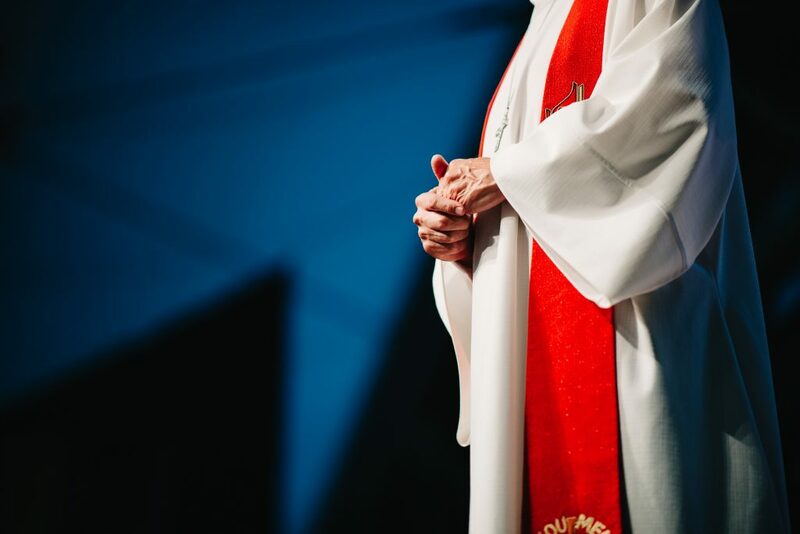 In the midst of the vast diversity found within our United Methodist Church, the Bishops continue to work for the unity of the church and long for each of us to BE OF ONE HEART in our desire to discern the mind and will of Jesus Christ for the mission of our church. Read the Chancellor’s Statement on Bishop’s Press Release.